The address of the preset rental office 'Graz - Downtown Center': Main Station, Europaplatz 4, Graz City, A-8010, Austria. -use the map of Graz on this page. Best rates. OrangeSmile.com provides cars for hire at the rental point 'Graz - Downtown Center' at the lowest guaranteed prices. Our direct car suppliers often provide high discounts on the available models. 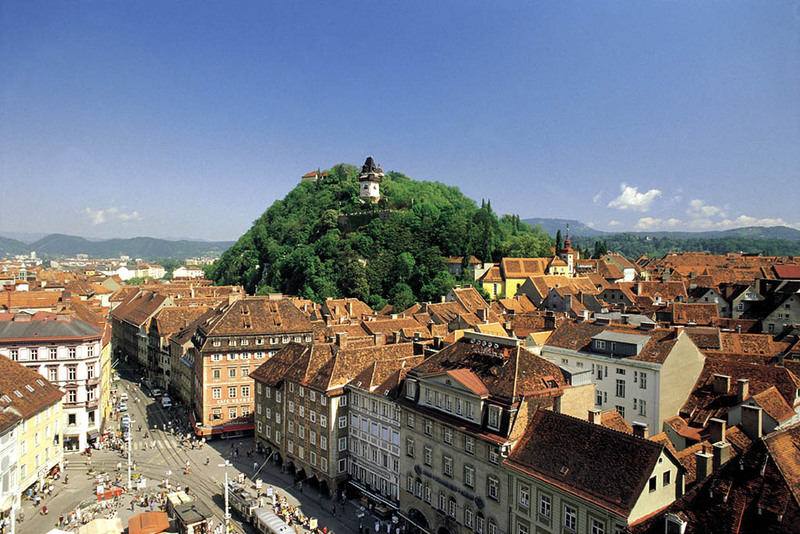 For your specific dates at 'Graz - Downtown Center', we will find for you the best online car hire offers. The rental process consists of 3 simple steps: (1) search available cars for your dates at 'Graz - Downtown Center'; (2) select the car type you wish to rent; and (3) complete the reservation form. Once your reservation at 'Graz - Downtown Center' is processed, we will send the confirmation voucher to your email address. A valid credit card is required to confirm a reservation at 'Graz - Downtown Center'. Please check your rental conditions, prior making the reservation. At the point 'Graz - Downtown Center', you will be asked for your confirmation voucher, driving license and a valid credit card. A credit card is required for a safety deposit. The deposit amount at 'Graz - Downtown Center' depends on the driver's age and the rented vehicle type. The definitive payment is usually performed at the pick-up point. Our car suppliers at the point 'Graz - Downtown Center' accept VISA, Master Card and other card types - please check your rental conditions. OrangeSmile.com wishes you safe roads in Austria and a pleasant trip to Graz! In late February or early March, when the Elevate Art Festival is held, Graz gathers fans of art, alternative and electronic music. Its venues are Schlossberg, Stadtpark, and Stadtmuseum. At this time, the capital of Styria can surprise everyone - even the most avid skeptics - because they will have a unique opportunity to watch an original show having no analogs anywhere else in the world. Art installations and experimental art fuse together to present the world with a unique combination of a fascinating program that does not leave anyone indifferent. Every year the festival is focused on a certain topic. Metal music is also loved in the city, which is confirmed by holding such an event as Metal On The Hill in mid-August. Among its headliners are popular and eminent bands coming from all over the world, mostly from Germany, Scandinavian countries, the United Kingdom, the Netherlands, Switzerland and the host country itself. However, this is for good reason because every metalhead knows that this is where most of the coolest bands playing hard music come from. The venue of the festival is Schloßbergbühne Kasematten, which means that spectators can enjoy camping in addition to an excellent musical program, which will greatly delight fans of outdoor recreation. At the same time, that is, in the middle of August, non-metal fans won't be at a loss as well - a gastronomic festival is held especially for them. It takes place in bars, cafes, and restaurants on the central streets of the capital of Styria, and, besides tastings, visitors are offered master classes, seminars, and consultations on how to cook one or another Austrian dish. Eminent chefs from Western Europe present their culinary delights here, making it one of the best events to visit.